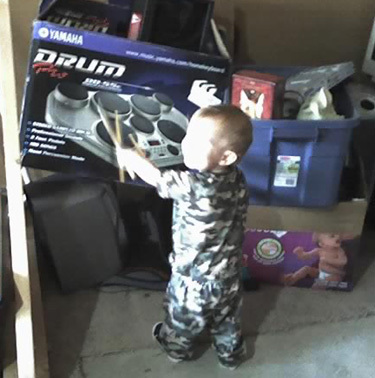 Teresa tries to play it off, telling me that other moms say their kids like to drum too. Other moms are stupid. This kid, this one below, yeah, he freakin’ loves drumming.